Cuts for Kids foundation along with local Westboro salon “West Side Spa” and West Wellington barber “Hair Fellas” are providing free hair cuts to local kids. 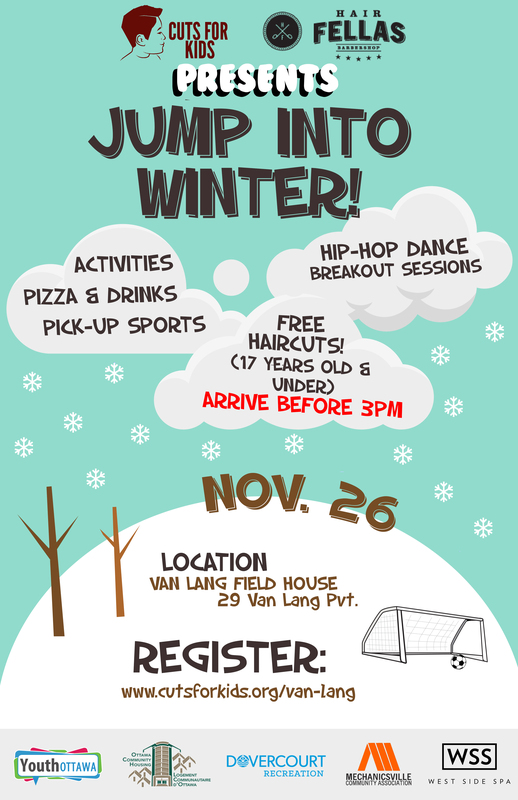 There will be sports games, pizza and Hip Hop performances on Sunday Nov 26 from 1 to 4pm. Last haircut at 3pm. Cuts for Kids throw a great event for kids and youth!